After two 40 mile weeks in a row, the longest I've ever run in a single week, I decided to take it easy this week and just do 10 miles on Sunday, a tempo run and a couple easy runs. Creek crossing at River Park. There's a bridge up further. Since I was only going to do 10 miles, I decided to run from River Park in Brentwood. There is a nice paved path that connects River Park, Crockett Park and Smith Park. There's not quite enough mileage running from River Park to Smith Park and back again to get 10 miles. I could have picked up some miles in Crockett Park and/or Smith Park, but Smith Park is trail and I didn't want to do Crockett Park. So my husband suggested I run along Splitlog Rd to get the rest of the miles so I could do a straight out and back. After giving Tanna (my horse that is on stall rest recovering from a knee wound) his breakfast and meds, I headed out to run. I set my watch to remind me to turn around 5.25 miles in. That would give me enough mileage to do a warm up and cool down and arrive back at my truck at the right mileage. It was about 66° when I started. 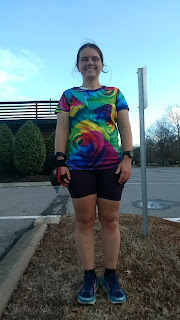 I got to wear my favorite lululemon running shorts and my favorite inknburn rose print t-shirt. No gloves, no hat, no jacket. Awesome! But I was tired and grumpy and the first 3 miles were a real struggle. I was so glad I was only going 10 miles. 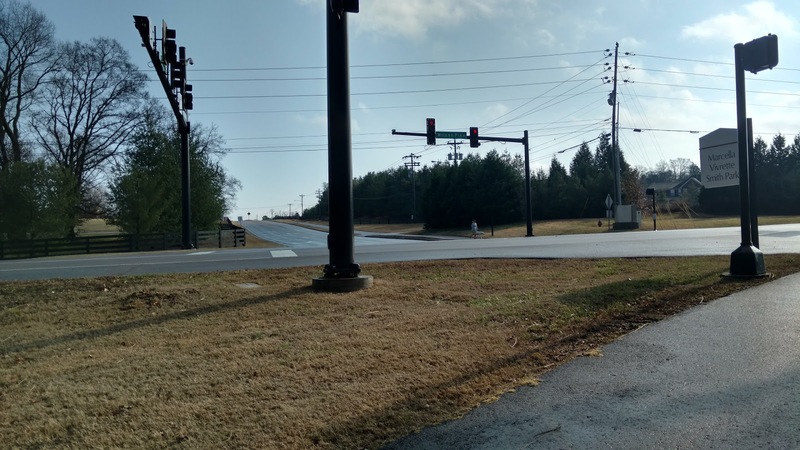 Intersection of Wilson Pike, Splitlog Rd and the entrance to Smith Park. At mile 4, I turned left onto Splitlog Road. I'd never run this before. A little over a mile down the road, my watch beeped for me to turn around. I was at the bottom of a small hill and I wanted to see what was over it, so I went up it and around until I could see down the other side. 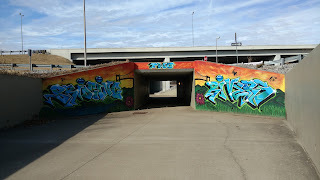 It looked like the trail ended at the 4 way stop, so I decided to run down to see. 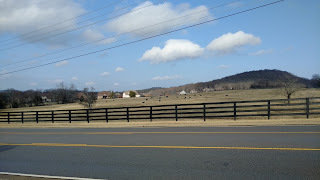 A pretty view along Splitlog Rd. Splitlog Road actually turned to the right at the stop, so the trail turned with it. At this point, I was 1.5 miles in and I thought the trail was only 2 miles long, so I decided to go ahead and run to the end just so I could see the whole thing. 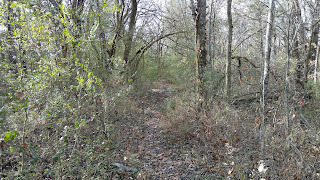 I ran another mile before coming to the abrupt end of the trail. 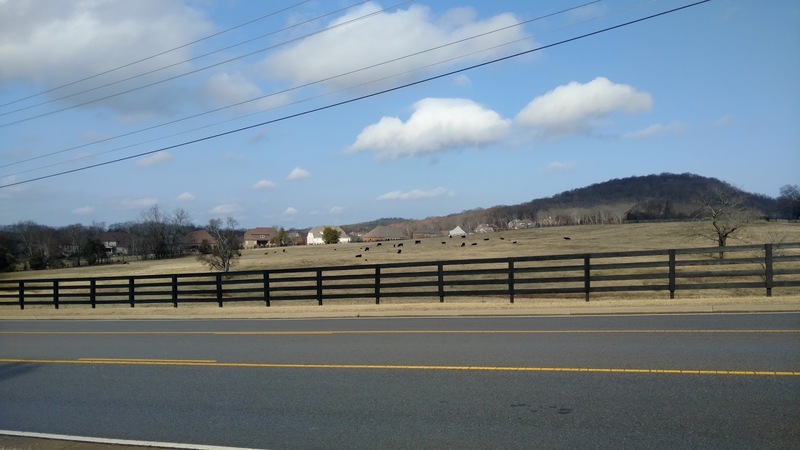 I turned and ran back to Wilson Pike. While running along Splitlog Road, I decided I needed a restroom break and a water bottle refill. 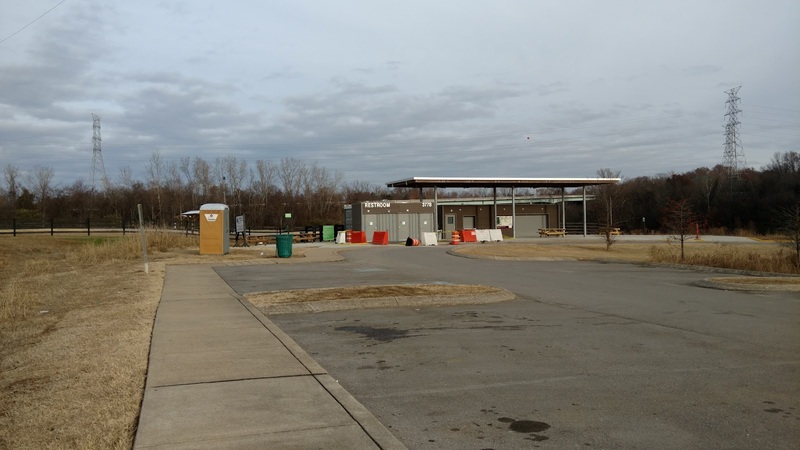 I could have gone to the little rest stop just south of Moore's Lane, but it was further than Smith Park's facilities since I was already at the entrance to Smith Park when I reached Wilson Pike. 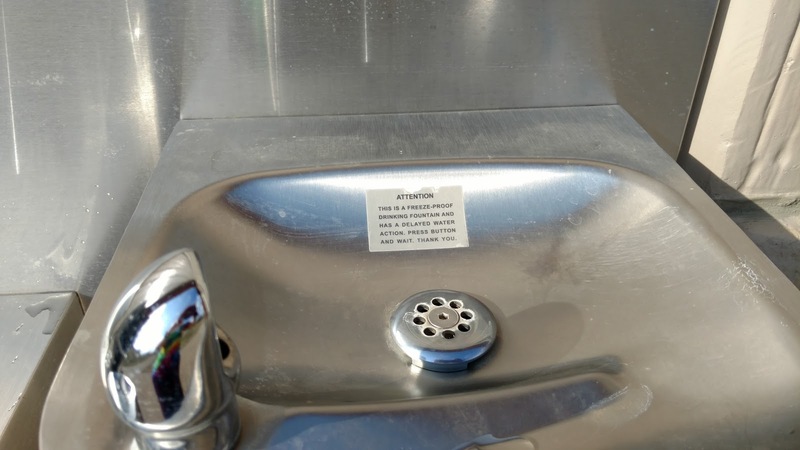 I was pleasantly surprised to find that not only the bathrooms were open (which I was really hoping for), but the water fountains were working also! Yay. I splashed my face, took a nice long drink, refilled my water bottle and headed back toward River Park and my truck feeling much refreshed. While running back, I began doing calculations and came to the realization that I would reach 14-14.5 miles due to my detours and curiosity. So much for my 10 mile run! A 14 mile run is on the long end of a medium length run. Long runs (in my world) start at 16. So...I figured if I ran my usual Crockett Park loop, I'd add enough to reach 16 miles. I wasn't feeling great, but not nearly as bad as I had during the first 3 miles, so I decided to go for it. I had taken enough fuel and I even had an extra gel left because I forgot to take my pre-run gel. I ate every 33-35 minutes. 6 shot bloks, taken 2 at a time and 2 gels. Since I overdid my long run for the the week, I decided to just do 3 easy runs and bag the tempo run for the week. 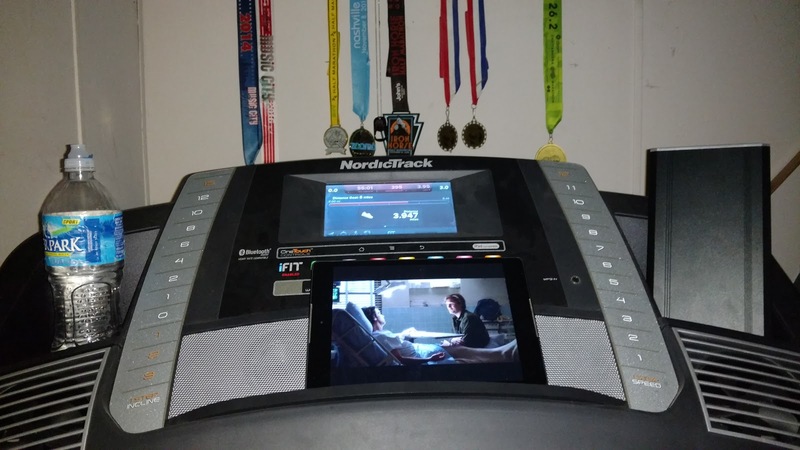 Tanna ended up getting part of his cast adjusted on Monday and I didn't want to be away from home if he needed something, so I ran these runs on the treadmill. All the same iFit program. 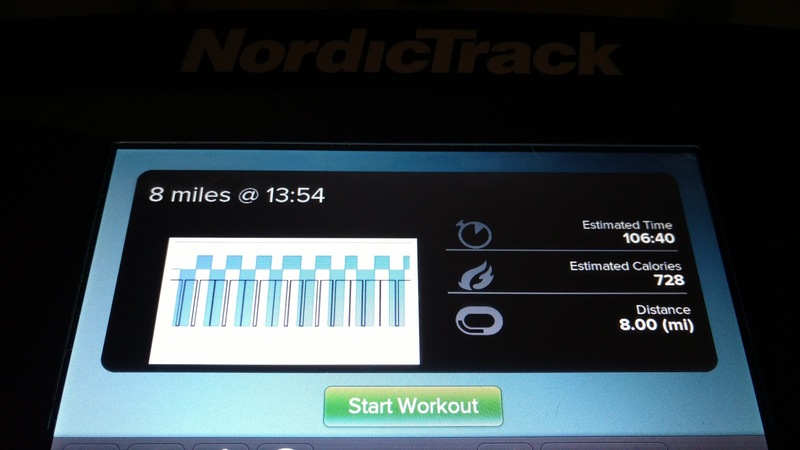 Run at 13:03/mi for most of a half mile, walk the balance of the half mile, repeat. All at 0% incline. I've decided my long run schedule is too aggressive. 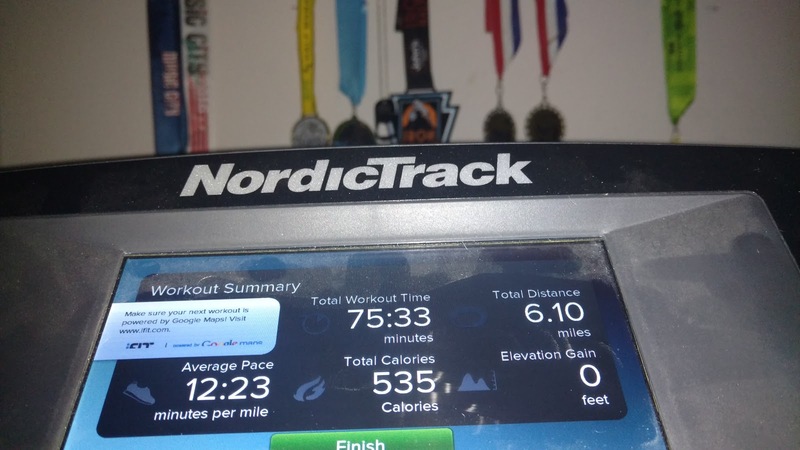 This training cycle I've already run 5 16-milers and an 18-miler. The first 2 16-milers were really hard on me with some good amount of pain in the last couple miles, but the other 3 and the 18-miler, while not easy, were not especially hard either. I hit pretty close to my average pace for each of those runs, without slowing down the last miles. In short, I paced them well. For the last weeks of training, I decided I'll do a long run every other week instead of trying to hit one every week. I plan to run 10-12 milers on the "off" weeks and run more miles during the week to make up the balance of my weekly miles. Tomorrow I'm scheduled to run a 5k in Murfreesboro. 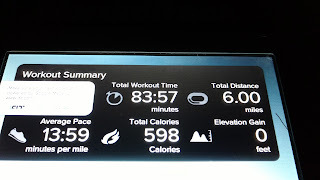 The weather is supposed to be cold and rainy, so that may be all I do, but I might run 6 or 8 miles as a warm-up. I'm in a good position to PR this 5k, so that would be fun. But I'm unlikely to PR if I run 6 or 8 miles first. Decisions, decisions. This week is a 5-day run week. So up till now, I've felt pretty good about my workouts and mileage with the small exception of some imbalance in my muscle development. I was thinking just last week how I couldn't believe I'd been training for 8 weeks already. And now, in the middle of this week, I just got bogged down and training has caught up with me. Or maybe it's just 2 40 mile weeks in a row. On the treadmill. On. The. 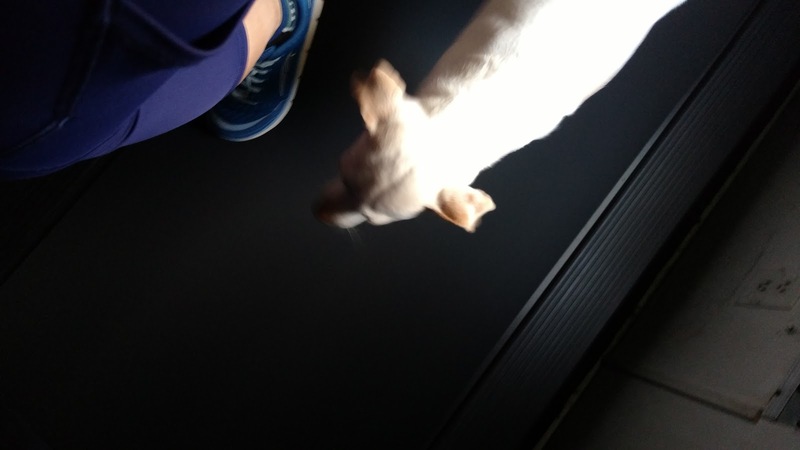 Treadmill. Ugh. I chose this because it was about 30° outside and because it rained the day before, there was the possibility of ice on roads and trails. While I did drive out to see my horse, I decided I didn't want to go running outside. So I decided to do a 10 mile run on the treadmill. I did do the 10 mile run on the treadmill. I used a custom iFit program for this. Run for 0.40 - 0.45 mile at 12:30/mi. Walk the balance of the 1/2 mile segment. 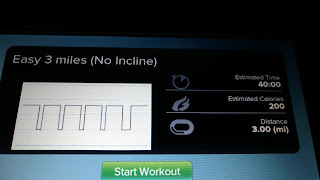 As an added twist, I programmed the incline to adjust to -3% (that's as low as my treadmill will go) at the 0.25 mile mark of each mile and back up to 0% at the 0.75 mile mark. So there was either an incline or speed change at least every 1/4 mile. Just to keep things a little interesting for my brain, but also to adjust things for my body. Round about mile 8.5 of the 10, I began to contemplate the idea of finishing out my entire scheduled 16 miler on the treadmill. 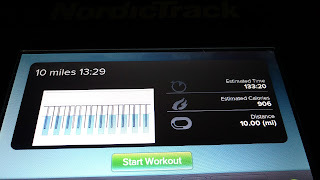 So when the 10 mile program finished, I punched in a goal pace run, having the pace set to 12:30/mi. 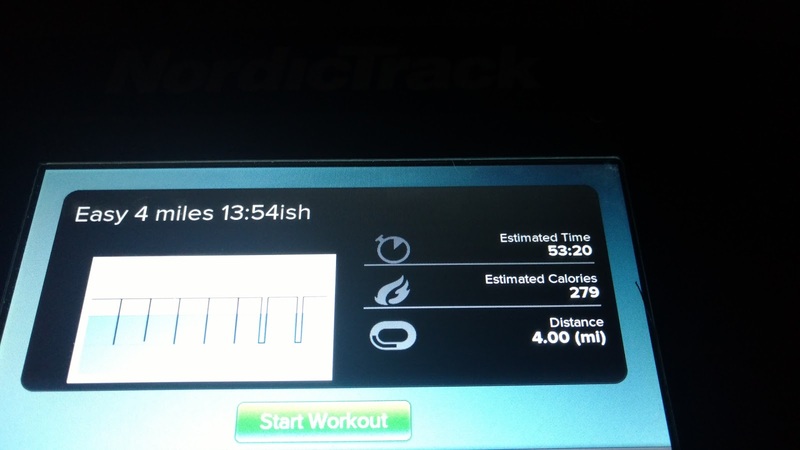 Every 3 minutes or so, I adjusted the speed down to a walk for 30-45 seconds before allowing the treadmill to resume a 12:30/mi pace. I kept an eye on the overall average pace (which is why I chose the goal pace option) to keep it at 13:29/mi, which is my long run pace. I left the incline at 0% for this segment. 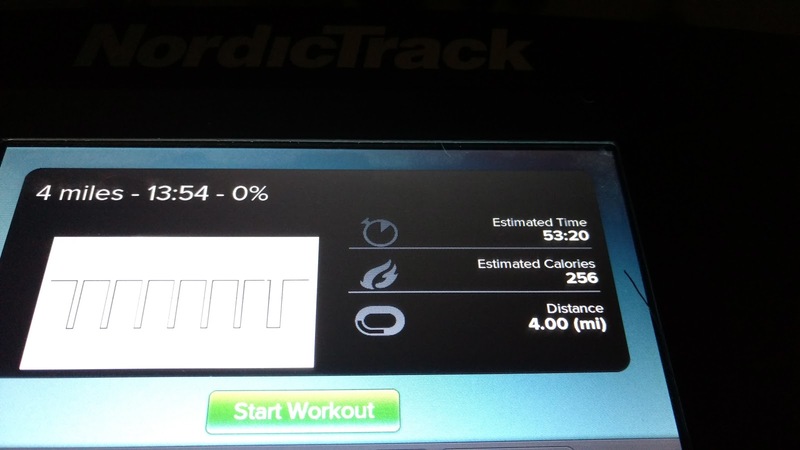 For some reason, the program gave me an extra 0.1 mile even though I programmed it for 6 miles. I ate breakfast about an hour before running and took 6 shot bloks and 2 gels during the run, eating approximately every 35 minutes. I wore my RaceReady capris, which was a mistake in 2 ways. 1) They were too warm. It was 59° in my treadmill room and I should have worn shorts. 2) They have diamond shaped seams in the crotch and I got rubs. 'Nough said about that, but I'm not wearing those on long runs again! Tanna before surgery. 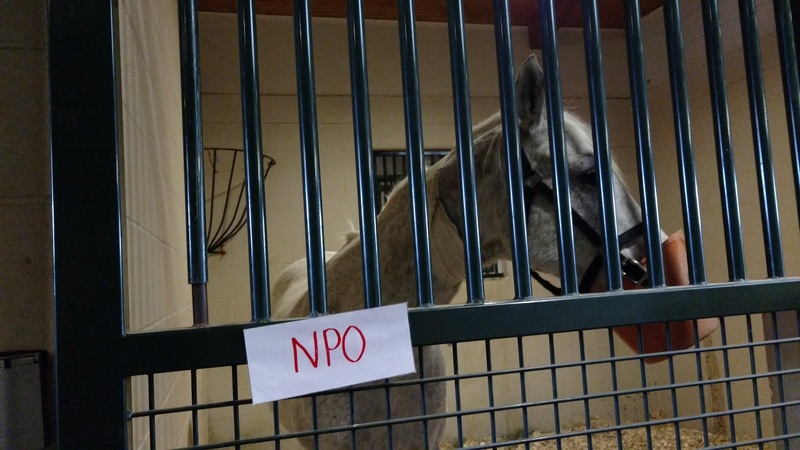 He wasn't allowed to eat so the muzzle ensured that. This was a 6 day run week. I was supposed to run 4 easy miles on Monday. 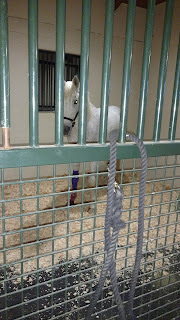 But Tanna had surgery on his knee and I never had a good enough chunk of time that I felt I could get a run in and it was late by the time I finally went home. I wasn't too worried about it, though. Another treadmill run. 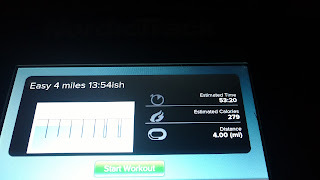 I didn't want to just set the treadmill to 12:30/mi and pound away the miles. 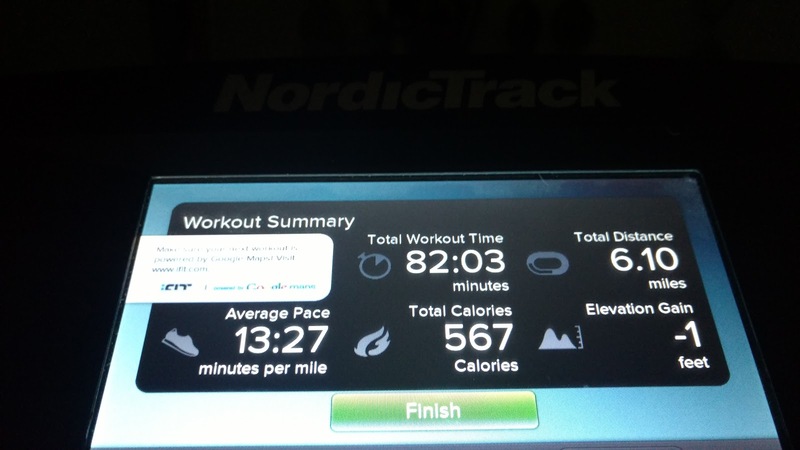 So I used the Pace Goal program again. I set it to 12:30/mi and ran that for about 1/2 mile. 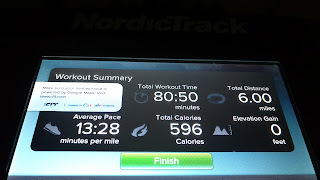 Then I bumped it up to a faster pace anywhere between 10:55/mi - 12:00/mi and ran that for 0.3 miles and then slowed to around 13:03/mi for the balance of the mile. Worked pretty well to keep me interested. 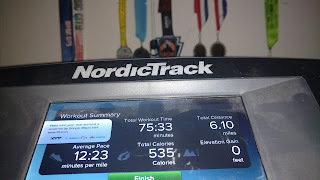 Again, the program went to 6.1, so I got a little extra and bumped my overall average pace down a few seconds. On Tuesday evening, when I went to feed my other horses, I was messing with one of them and busted my left shoulder. It hurt a lot overnight. It got a little better with rest and ibuprofen, so decided to try running and see how far I got. So treadmill...again. That way I could quit if my shoulder wasn't up to it. 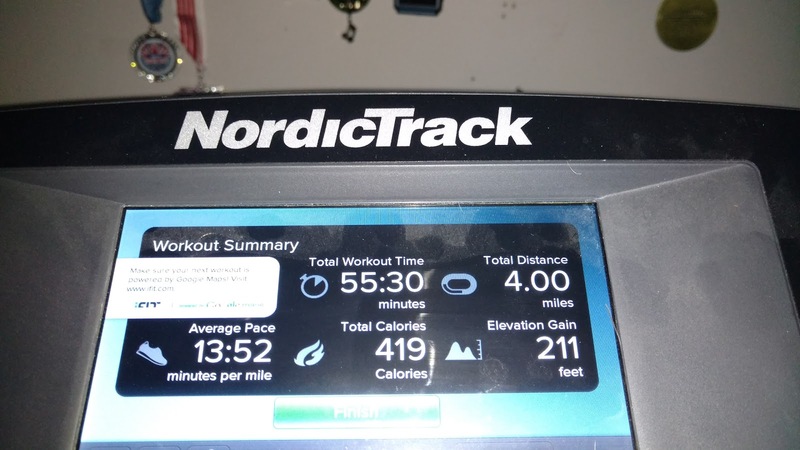 The first 1/2 mile was uncomfortable while I warmed up, but then I was able to run ok, just with a very slightly shortened arm swing on the left side. By 5.5 miles, I was able to swing my arm normally. This was custom iFit program that I made. 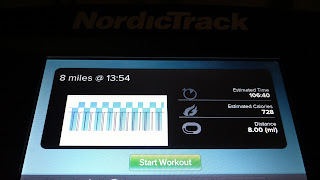 Run at 13:03/mi for 0.45 miles, walk the balance of the 1/2 mile. I had the incline adjust to 0.5% at the 0.25 mile mark of each mile and to -2% at 0.75. I like incorporating the incline changes. 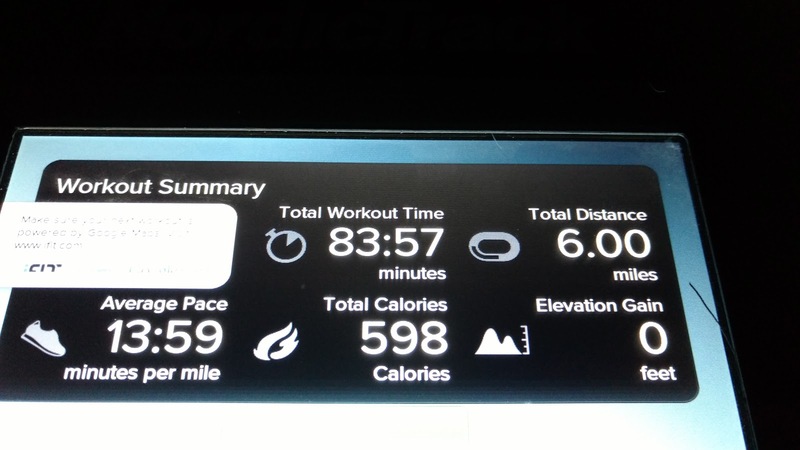 I was only scheduled for a 5 mile run, but ran 8 to help make up the mileage I missed on Monday. During my cool down, Kelsey decided to hop on with me! But she decided she didn't like it and hopped off again. I did not want to run. I didn't want to drive out for my hill run and there was increased traffic on my normal hill workout outside. I played with skipping this workout altogether or at the very least doing an easy run instead. But what I ended up doing was creating a custom map-based workout on iFit to actually do my regular hill run, but on the treadmill. My treadmill goes up to 15% incline and down to -3%, so it can approximate some hills fairly well. This workout was HARD! It was harder than doing my outside workout and not just mentally. Physically it was hard. 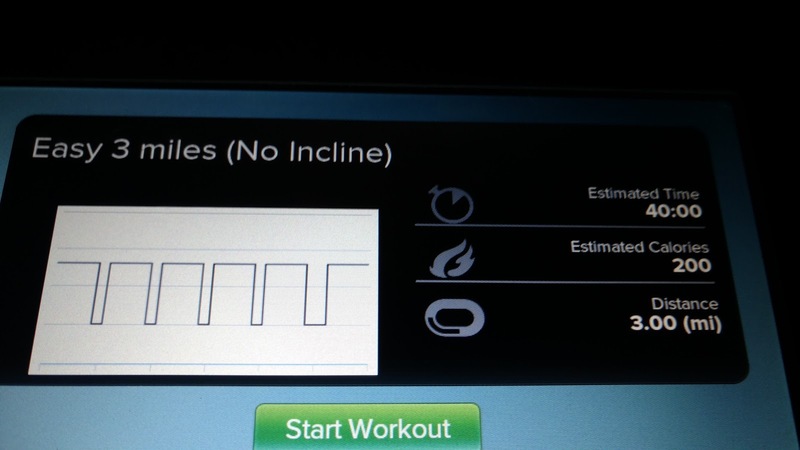 I don't think it got the incline % right for some of it. It was just too steep in some places. I've run that route a lot and it's just not that hard or that steep. I did get an extra 300 feet of climb, so it was harder. I didn't run any of the uphill, just walked it all, but in some places it was steep enough that I had to walk slower than 20:00/mi. And the 3% downhill was nice and I ran that at 10:55/mi, but I get better downhills in real life. So overall this was harder on the treadmill than in person. Finally, a run outside!!!! Whoo-hoo!! I stopped in to see Tanna and headed across the street to run the park loop for 6 easy miles. There's some mild elevation on each loop (9/10 of a mile long), so I made sure to walk those since I'm still babying my leg while I figure out my muscle imbalances. I ran the loop counter-clockwise 4 times and then paused at my truck to grab a drink since I'd left my handheld at home. Then I ran the loop clockwise to finish out my mileage. 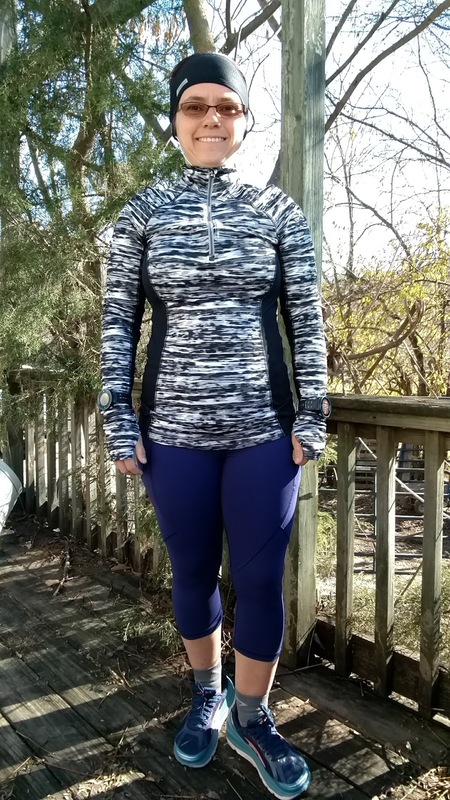 I wore a couple of pieces of clothing I'd never worn running before. One was a pair of horseback riding tights I got for winter riding, Kerrits Powerstretch Fall Tight. They are nice and soft and have a zipper thigh pocket and belt loops. I think the thigh pocket is a bit too deep for me and I really wish it had 2 pockets instead. But since it has belt loops it'd be easy to add a spibelt or something to hold more fuel. Sizing-wise, I think I'd like a size smaller for running. The size medium is great for riding, but maybe a tad too loose for running. The knee patches are a weird look for a runner! Wish I could get them without knee patches. It was about 44° ("feels like" 38°) with a breeze while I was running. Half the loop was in the shade, half in the sun, which came out half the time. My legs were super hot within a mile! These would probably be great for colder weather though. At least 35 or lower. I'll have to see if I want to try them again. My lululemon Toasty Tech II tights sometimes can't hold up in sub 30° weather with a breeze. The other thing I wore was an Under Armour Threadborne Run True half-zip. This was a great shirt. I was a little cool for a couple miles, but after warming up good, it was nice. The arms are tighter than my UA charged wool 1/2 zips, so I can't really push the sleeves up very far. This shirt is appropriate for weather cold enough that I won't need/want my forearms exposed for heat dissipation. 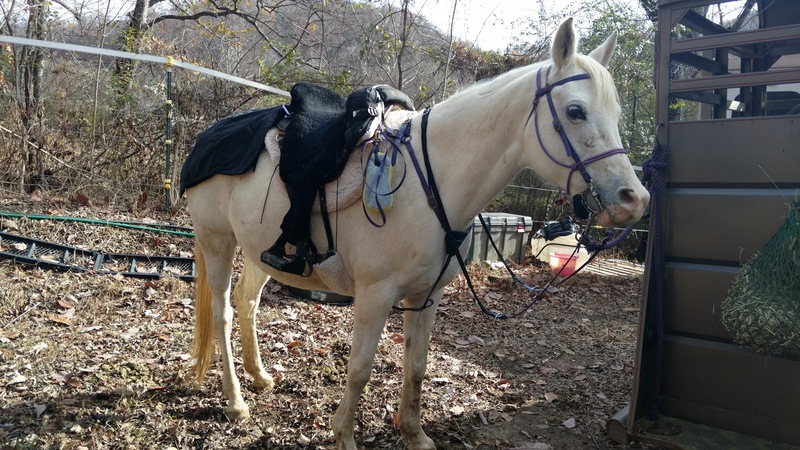 I have worn it horseback riding and absolutely love it as a base layer for that. It also has a nice drop so helps cover my rear or just keep it warm, although, paired with the tights, that wasn't needed for this outing! I think I'm going to take a break and step back my miles a bit. Not do another 40 mile week this week. Even though I missed a day and ran 5 days instead of 6, I still got 2 more miles than scheduled for the week. So I'm going to go back to running 4 days this week and drop my long run back to a medium distance run. This was a long and stressful week for me. 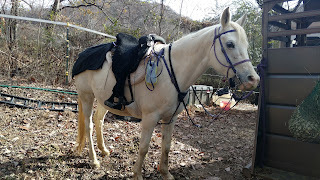 My endurance gelding, Tanna, hurt his knee in early October. Sliced it open pretty good. So for the last several weeks, I've been doctoring him for that. 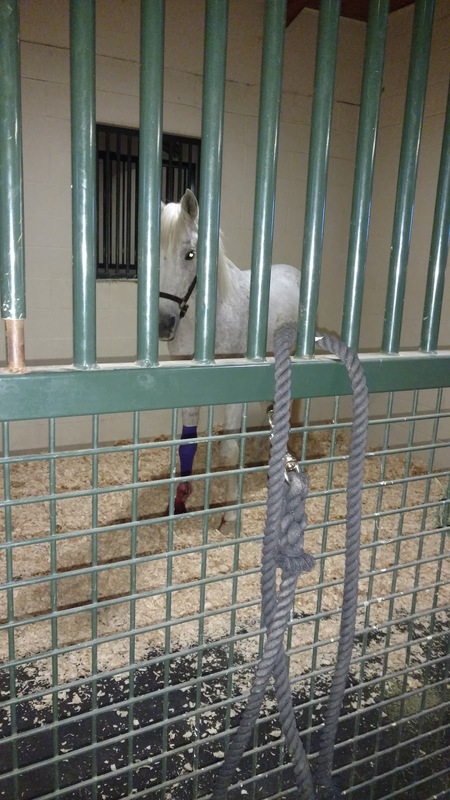 Sunday, after I got home from my long run, Tanna fell on that knee and ripped it back open as bad as before, so instead of showering and eating and doing all the things I do after a long run, I took my horse to the vet. He's been at the vet hospital for the last week, with me visiting him twice a day and being active in his care. We hope he will be fine eventually. This is not life threatening, but stressful and time-consuming and of course, painful for Tanna. 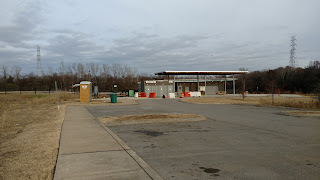 Trailhead facilities at Percy Priest Dam trailhead. 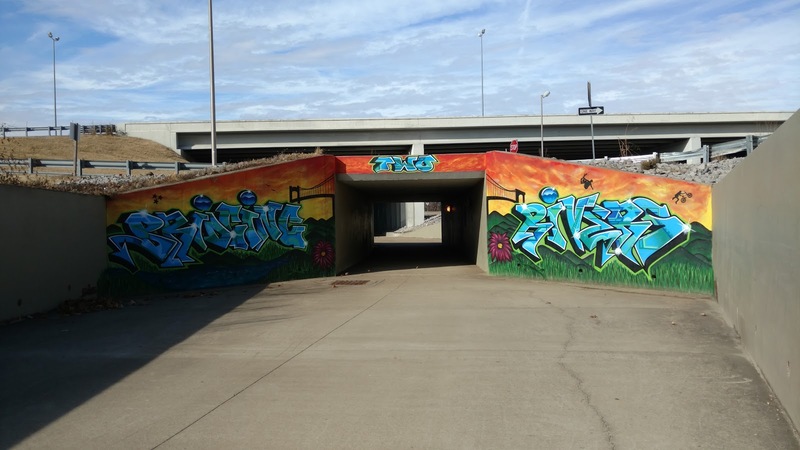 This week was a return to the Nashville Stones River Greenway. 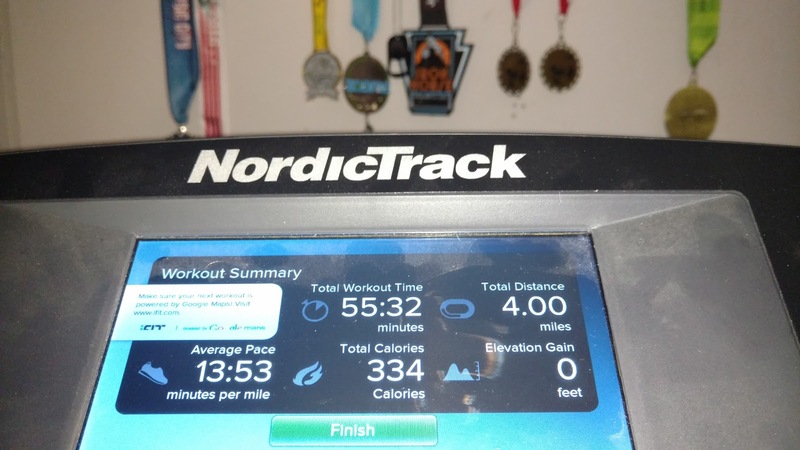 I decided I need to put hills back in my workouts, but because I was too aggressive with the hills before, I decided, even if my overall pace suffered, I would walk up the hills. 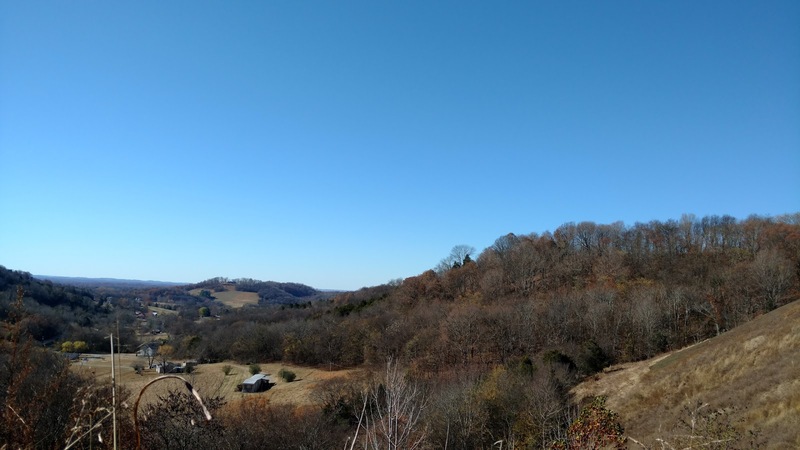 Normally I have my Forerunner 630 alert me when I'm running faster than 12:15/mi, but when there are hills involved, that doesn't make a lot of sense. I can cruise down a hill with minimal impact and a low heart rate and no reason to restrict beyond feeling how well I'm doing. I'm doing a pretty good job restricting my pace and HR to something that I can reasonably maintain. By no means perfect, but better. I parked down at the Percy Priest Dam trailhead. 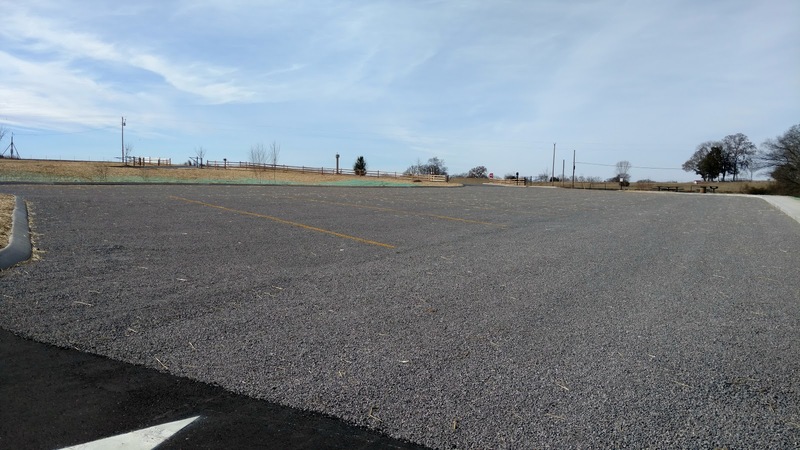 The dog park is finished and open! And there are bathrooms! 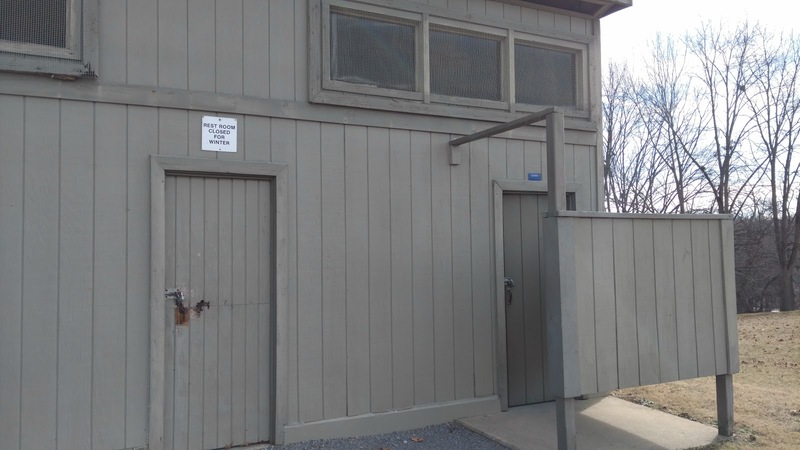 But the bathrooms aren't quite open yet and I don't know if they'll open this winter or wait until the threat of freezing is over. There are still 2 porta potties at the trailhead, just no running water. 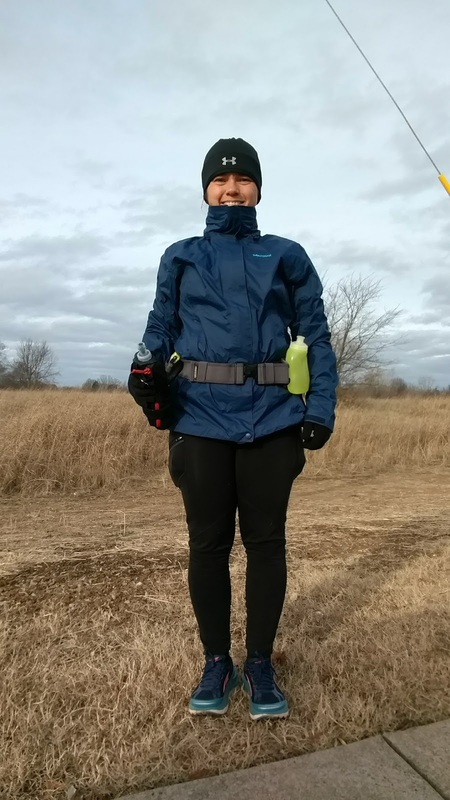 It was pretty cold and windy when I started, around 30°. When I finished 4 hours later, it had warmed up to 48°, but with a 17 mph wind, it was still not warm. After missing my long run last week due to rain, I got a Marmot PreCip jacket from Amazon. I had 2 Under Armour jackets delivered, also, but I decided the PreCip jacket fit better and had better vents and hood options. Even though it wasn't raining, with the 15+ mph winds, I decided to run with the PreCip jacket for a windbreaker. 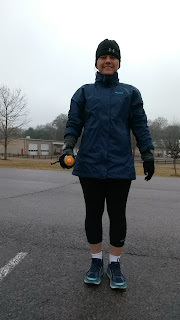 I wore my winter lululemon tights, Under Armour half zip, a headband to cover my ears, my lightweight UA skull cap, silk glove liners and knit gloves. The knit gloves came off within 3 miles. The skull cap came off later, around mile 6 or 7. I was originally scheduled for a 16 mile run. 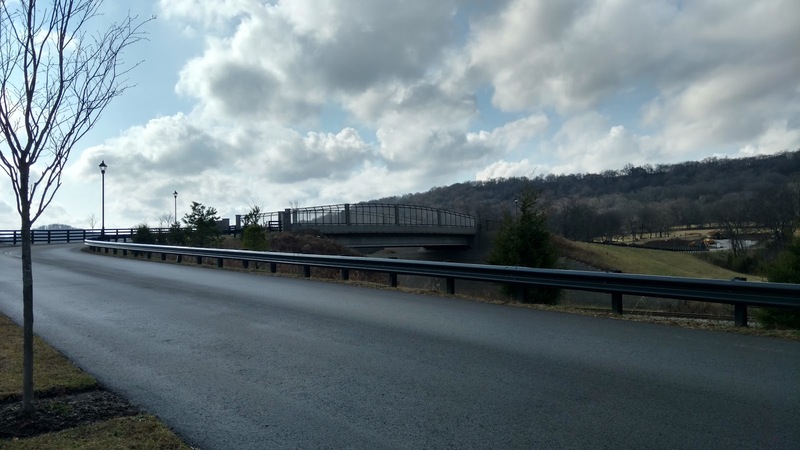 I planned to run to the 2 Rivers Bridge and then turn around, hitting the bathroom for a rest stop and water bottle refill before returning to the dam. I carried my 18 oz Salomon handheld and had a 10 oz water bottle on my hydration belt. When I reached the 2 Rivers Bridge, I wasn't quite at 8 miles yet, but was very close. I felt really good. I was walking the uphills and cruising the downhills and doing a steady pace on the flat. I was hitting my pace for every mile with slight variations between 13:38 to 13:22. 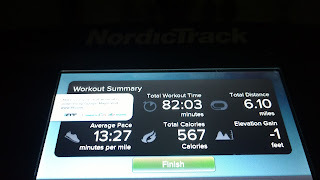 I felt so good, I decided to extend my run and go out another mile which would make 18 total. 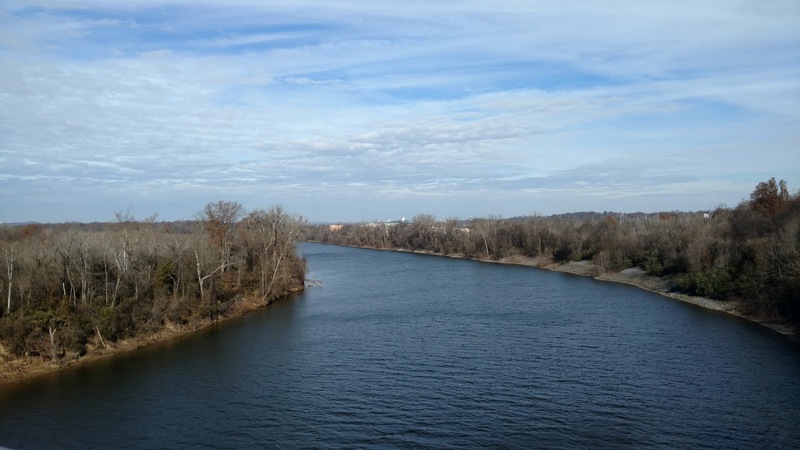 So I ran across the pedestrian bridge and down to the Shelby Bottoms Greenway on the other side of the Cumberland River. I headed north along the river until my watch chimed 9 miles. Then I turned around and headed back. I had not stopped for my rest stop on the way out, preferring to do that in the 2nd half of my run. So I ran along the small access road to the bathroom....and discovered it padlocked and shut down for the winter! I was annoyed. None of the water fountains on this trail work either. Shut down for the winter. Do they think we don't need water in the winter?? Or do they think we shouldn't run/bike/walk enough to make us thirsty?? Sigh. I had 5 oz of water left sloshing in my water bottle for 7+ miles back to my truck. There was a porta potty there, so I used that and headed back. My fuel for this run was my normal breakfast of grits, cheese and a "sausage" patty, 1 gel at the start, 6 shot bloks (2 at a time), 1 picky bar (all eaten at the same time) and 2 more gels. I ate something roughly every 35 minutes. I shortened up the time between eating, so I'm eating more. I saved the water I had left to chase down the fuel I ate on the trip back to the truck. I think it was 2 gels. Turned out ok, but I really would have liked more water than what I had. The PreCip jacket worked really well. I kept the hood stowed and it stayed neatly out of the way. No flopping hood back there. The jacket has arm pit vents and 2 pockets. I was able to stow my gloves in the pockets without noticing them at all the rest of the run. The pit vents were great and I adjusted them as needed through out the run. The fit of the jacket was nice. I would have preferred just a little more diameter in the sleeves so they'd push up over my elbow a tad easier, but that worked out ok as well, allowing me to leave my forearms uncovered for heat escape. It was really nice having a wind breaker as my UA jacket is warm, but wind can whip right through it. Yay for a good run! I was so excited I took a selfie just after finishing the 18 miles before my cool down. I had the best run longer than 14 miles I've ever had. I still had energy at the end, I was not overly sore, nothing rubbed terribly. I didn't even get an upset stomach until around mile 17 and then it was very mild and went away before I got to my truck. Usually I get a little queasy around mile 12 or 13. 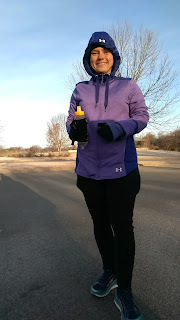 I wasn't overly cold or overly hot most of the run because I could control my heat escape with my jacket and 1/2 zip. I drove home high on my run, looking forward to basking in the glow of a really good long run. And eating some really yummy food. And then. Tanna fell. Right in front of me. I have video. He fell right on the bad knee and came up with all the healing from the past weeks wiped out. Gone were my thoughts of my run and into crisis mode. My husband got the trailer hooked up, I got Tanna's knee bandaged and Daniel took off with Tanna in the trailer. I managed to change my running tights for jeans, grabbed a 1/2 peanut butter and jelly sandwich and followed in my truck. Tanna at the hospital waiting for the on-call vet to arrive. This was an easy run on the treadmill. After spending all morning at the vet hospital conferring with the vets and watching Tanna be treated, I didn't feel much like running, but I did. Just an easy 4 miles. Run for just shy of half a mile, walk the balance of the 1/2 mile, repeat. I wasn't sore from the 18 miler. 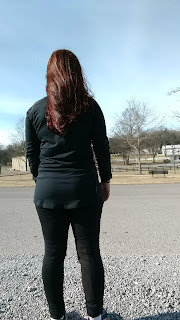 After visiting Tanna in the hospital, I went across the street and ran in Thompsons Station Park. This was supposed to be a tempo run, but since I had the long run on Sunday with some hills, I decided to walk the hills at the park. They're not big, just 80 feet of elevation gain in the 9/10s of a mile loop, but when you do 7 loops, it adds up. I also had some technical difficulties where my phone repeatedly skipped songs, changed my radio station and apparently texted one of my friends repeatedly. I didn't realize the texting until after my run when I checked my texts and had one from her asking if I was ok and saw all the random texts it had sent her! So between fussing with my phone, stopping at my truck to change my Bluetooth headphones for regular ones (because I thought it was the Bluetooth skipping my songs at first) and walking, my pace for this run was all over the place. BUT! I did the miles and got it done. I could have easily wimped out and said no way. 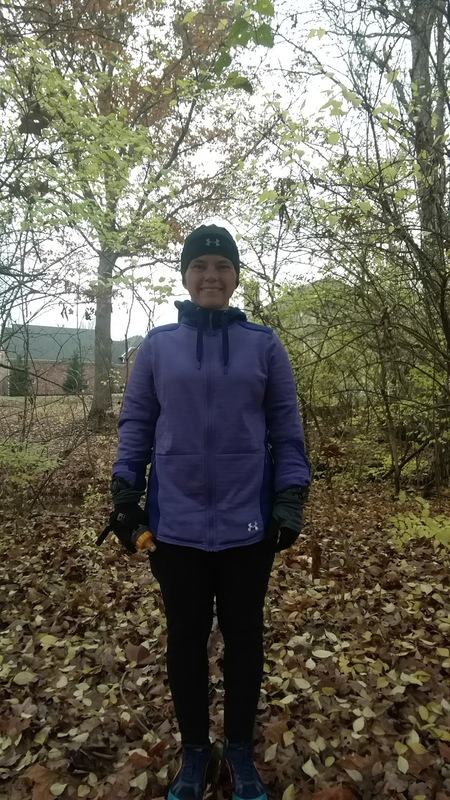 It was 41° and raining the entire time I was running. I wore my PreCip jacket over my UA half zip again and while I thought things were fine, I was freezing the entire run and when I changed clothes, my UA half zip was very wet. All I can figure is I got overheated at first, sweated up and then never could recover warmth? Not sure. All this wind and rain is interfering with my ability to dress properly! I had no extra fuel for this run beyond just eating regular meals. 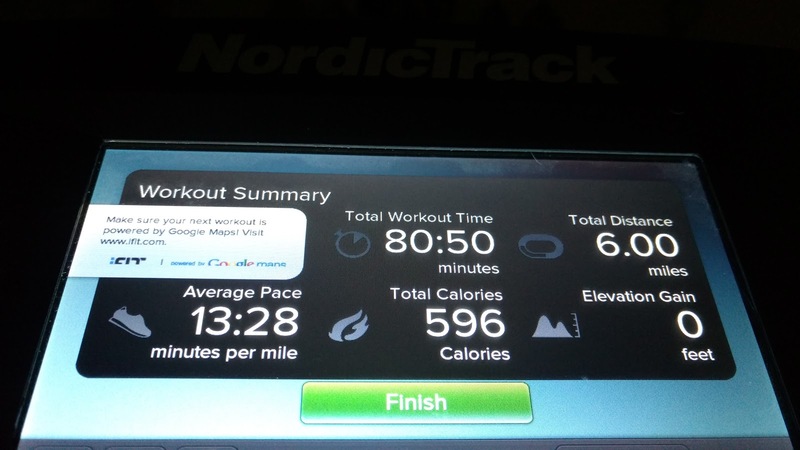 Since this was an easy day, I got up and was on the treadmill by 6 AM to get my run in before going to the vet hospital. I used to have trouble running first thing in the morning, but I've had enough practice running that I can sorta do it in my sleep. Advantage, it was mile 3 before I was out of auto-pilot mode, so I only had 3 to go after that! While running, I watched the only "Christmas" movie I like and it's not really a Christmas movie, it just takes place at Christmas time. I've seen While You Were Sleeping many times, but I hadn't seen it in awhile and it was fun to watch it again. Bench overlooking the river on the North Murfreesboro Greenway. This was supposed to be a hill run, but since I had hills during my long run and my Tuesday run, I decided doing a hill workout wasn't the best idea. 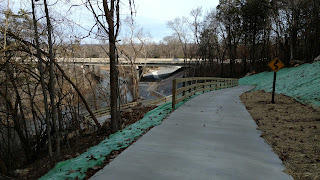 While at the vet, I got it in my head to go to the newly opened North Murfreesboro Greenway and check it out. 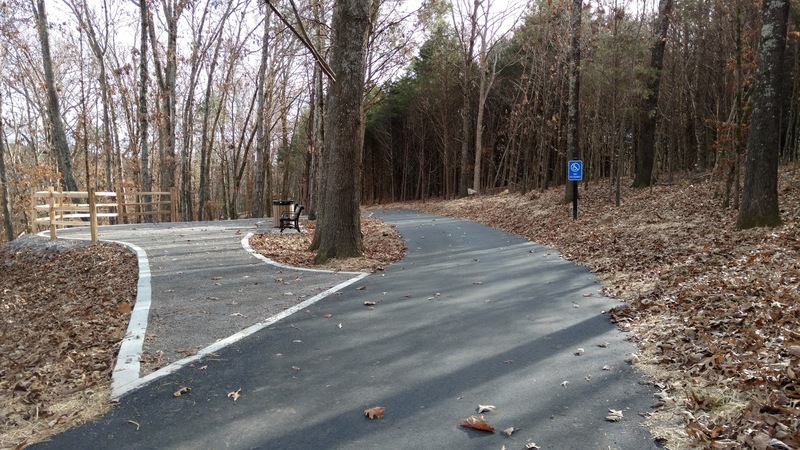 They built a new trailhead at Central Valley Road and in addition to car parking, added parking for 11 horse trailers with access to the Twin Forks Horse Trail. The North Murfreesboro Greenway section runs from Central Valley to Walter Hill Dam. 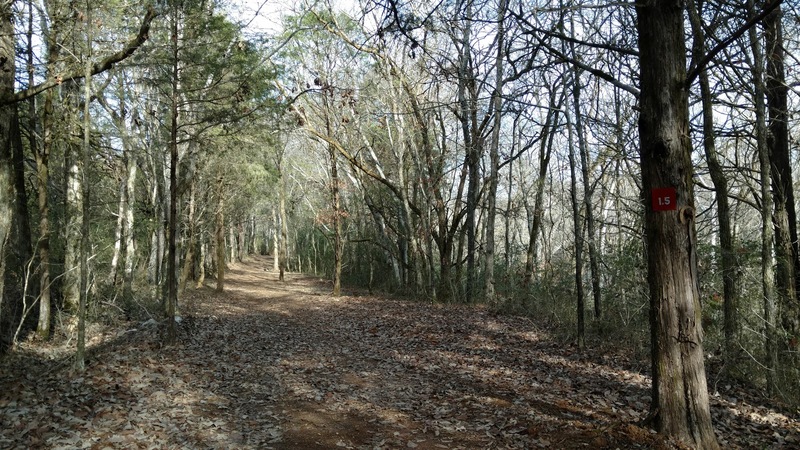 I hiked/ran the horse trail until I had seen all the newly blazed trail, then returned to the trailhead and ran the Greenway section. The horse trail narrows considerably after about 1.75 miles. I was not dressed for running. I keep a heart rate monitor and running shoes in my truck and I had a GPS unit in my bag, but I was wearing long johns under a pair of jeans and a long sleeve cotton shirt! On the horse trail, I wore my Decade Team jacket that I got after Tanna and I had done 10 years of endurance together. But I got super hot really quick. I didn't want to sweat up my cotton shirt, so I settled into a brisk walk to keep my blood flowing, but not warm enough to sweat. Back at the parking lot, I switched to my PreCip jacket that was in the car, but then I was too cold for the second part of my run along the Greenway! Completely missed the boat both times on that, but I had fun and got to see some new trail. I'll have to take my endurance mare there to ride the horse trails sometime. The paved Greenway was about 1.25 miles to the Walter Hill Dam Trailhead where I turned around and went back to my truck. Daniel took my GPS tracks and put the Greenway on Google Maps, so now it's there for others to see. I'm pretty happy with the way my running week turned out considering I was not sleeping very much. With work and keeping up with Tanna, I could have easily skimped on my running this week, but I did run. My tempo run and hill run were not really what I had planned pace-wise, but mileage-wise, I was spot on, so I'm happy with it. Well, I'm supposed to run my 6-day week this week. I will try to hit those workouts as well, but I do have a built-in excuse if I don't. ;-) Fortunately, it's a short work week, so I should get a little relief there. Tanna will probably have surgery this week and will continue in the hospital, so I'll spend a lot of my time there. As in my longest week mileage wise. I have never in my life run as many miles in a single week as this week. This run spanned a wide range of temperatures. I knew it was going to warm up, but if I don't get out and get my long run started early, it just trashes the rest of my day and I get nothing else accomplished. So I started in the cold at 7:30 AM. At 22°. 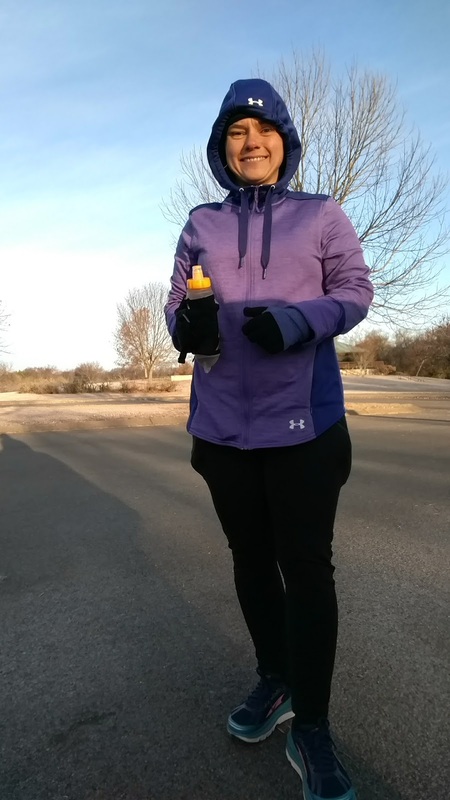 I wore my winter running tights, regular non-winter running socks, Under Armour half zip, Under Armour full zip jacket, silk glove liners, knit gloves, headband with ear covers and a thin skull cap. Cold me before the run. 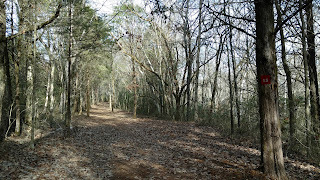 I started at the General Bragg trailhead and ran to the Stones River Battlefield. 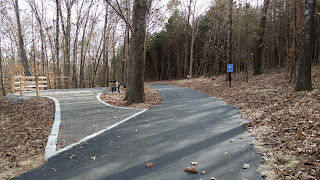 I took the trail to the Visitor's Center where I paused to use the restroom and refill my water bottle. 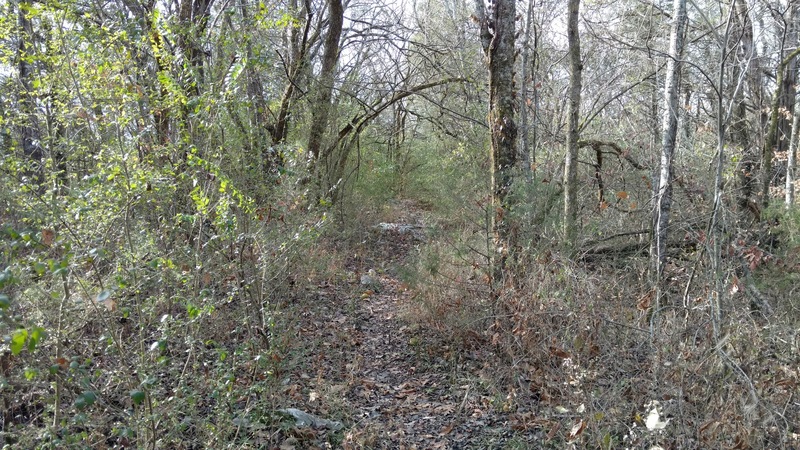 Then I ran back through the battlefield on their paved road before heading back to General Bragg. I was at mile 8 when I approached the trailhead. I initially thought I would drop my jacket when I passed back by my truck, but it was still around 34° and the only thing I'd removed was the knit gloves. 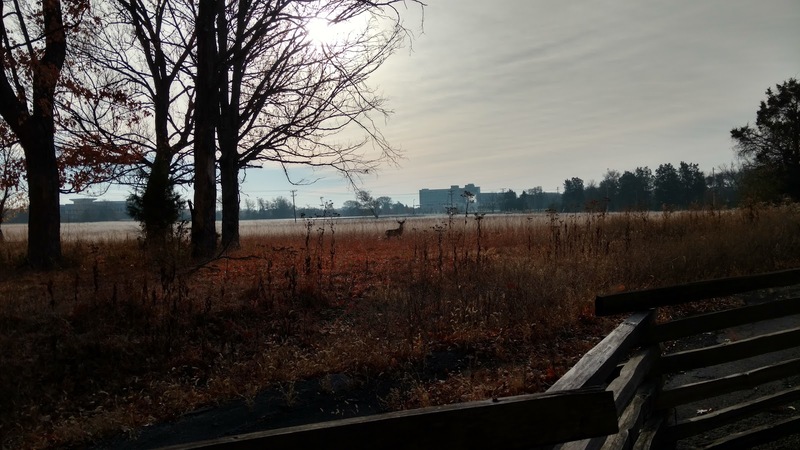 I decided to run the Gateway Island trail (about a mile) before coming back by the truck and see if I wanted to remove anything in another mile. I ran the Gateway Island trail counter-clockwise. I usually run it clock-wise when I run it. 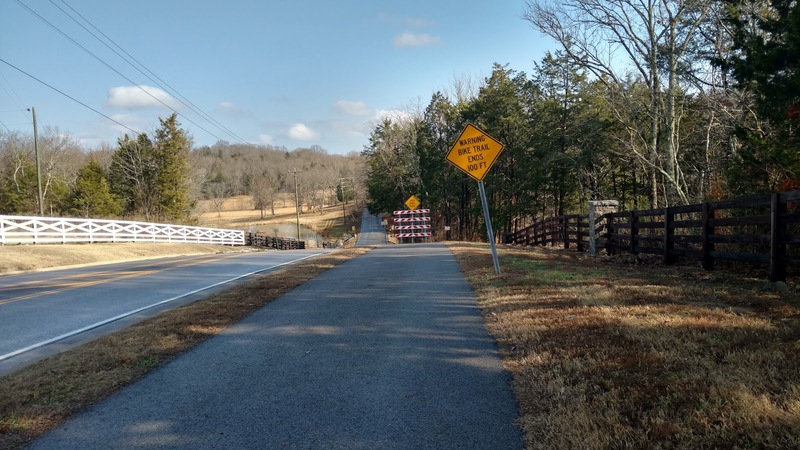 So when I was approaching the turn to go back to the General Bragg trailhead, I decided to turn to the right and run down the access trail. I figured it just was an access trail for a nearby neighborhood, and sure, it was that, but it ended at Medical Center Parkway which has a sidewalk. I still wasn't warm enough to need to drop my jacket or even my skull cap, so I turned left and ran along the sidewalk. 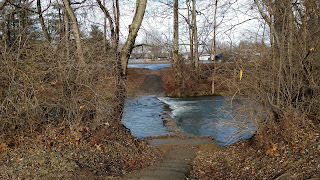 I ran through the streets of Murfreesboro for a bit before returning to the trail. By mile 11, I finally started to warm up and pulled my skull cap. I ran to the Old Stone Fort trailhead and popped in to use the restroom and refill my water bottle. There was some sort of gathering happening in the main shelter, but I didn't pause to figure out what it was and just blazed in and out. I headed back to General Bragg. I was going to hit my truck right on target for 14 miles. I was originally scheduled for a 14 mile run. But I had less than a mile to go and I felt pretty good. So I began to consider bumping my mileage up to 16. I had two issues. 1) My bluetooth earbud headset wasn't work anymore, so I wasn't getting any music. 2) I was getting warm and wanted to ditch my jacket. Both of these things could be fixed by dropping by my truck for a couple minutes. So I stopped at the truck, left my jacket and my non-working bluetooth headset and grabbed an old-fashioned pair of earbuds and headed north along the trail for another mile before turning back to get 16 total miles in. I felt really good about doing the 16 miles. 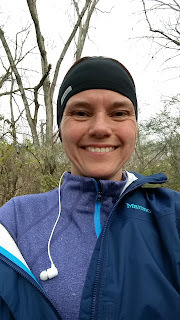 I hit my long run pace right on for the first 9 miles, then I had some faster miles while I was exploring and not paying as much attention to my pace. My heart rate was reasonable for the entire run. I changed clothes, stretched out really well and stopped by Starbucks on the way home to get a celebratory frappuccino. This was an easy run on the treadmill. Run/walk. I wasn't sure how things were going to feel after my 16 mile run the day before. My left ankle was locked up, so I was running a bit awkwardly for about 1/2 mile before it finally warmed up and unlocked. 59° in the room with the treadmill. 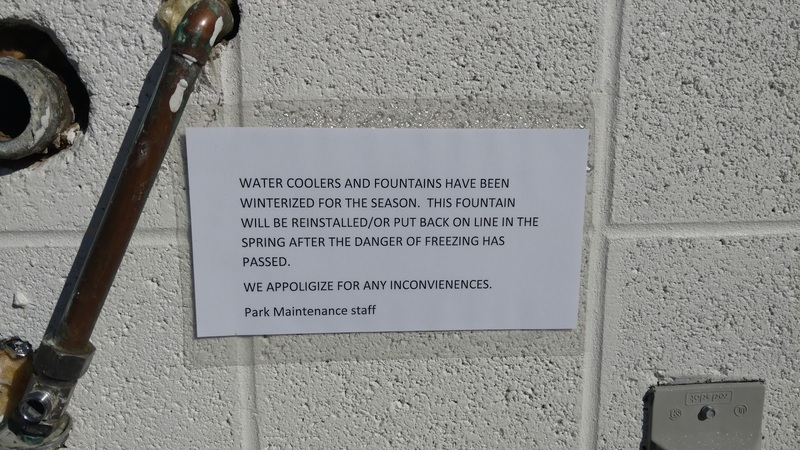 Most of the parks around have shut off their water fountains. 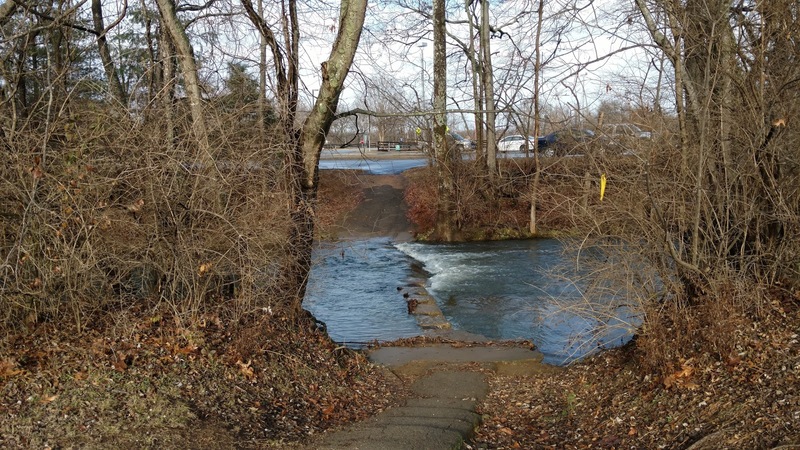 River Park went so far as to remove theirs! Tuesday, my tempo run day this cycle. I went to River Park where I do a lot of my tempo runs. But I didn't do my normal route. 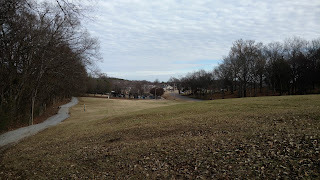 I crossed the street and ran around the path around the library, then back along my normal route for mile, but instead of turning south, I headed through the tunnel under Wilson Pike into Crockett Park and took a turn around the ball fields before heading back to my car. I had a hard time getting motivated on this run. I was struggling to go as fast as my tempo pace. I normally have to hold myself back and often will end up with a negative split run because I give up after a few miles. Not this time. But it was a good run even so. Mid 60s with sun and breeze. I even got to wear shorts and a t-shirt instead of all bundled up! Not much to say about this run. It was the exact same workout from Monday. No issues. Nothing to write home about. Things were going pretty well this week, so I felt energized when I headed out to do my hill run. It was chilly and windy. I ran over my lunch break, so I expected more sun, but most of my run was in the shade. I dressed for the temp in the sun with no wind. So...I was cold most of the time. I pulled out a pair of lululemon Outrunner 17" crop pants for this run. They call the color Emperor Blue, but they're purple. A really beautiful shade. And these pants have pockets around the waist band similar to RaceReady, except much more hidden; less tutu-like. They also have a couple of pockets in the thigh, but on me, those are SO low as to hit the side of my knee, so not really good. I've worn them once before and was annoyed at them. But I wanted to give them another shot because they're so pretty and I love pockets. In fact, one of the waist pockets is the perfect size for my Moto X Pure phone. So I pull them on, put my phone in the waist pocket and head out to run. And had a miserable time, clothes-wise. I was also wearing a shirt I hadn't worn before. A half-zip with mesh panels in it. That shirt wanted to ride up and the pants wanted to fall down. Not kidding. Those pants headed south with every single step. I was constantly yanking up on the pants, the waist band and the legs and pulling down on the shirt. The crops are the same size as my winter running tights that I also got from lululemon. 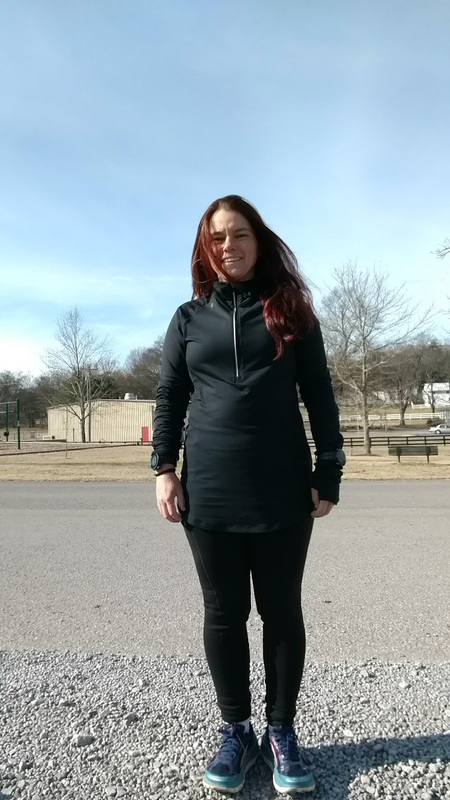 During my half marathon training, I dropped several pounds and toned up some. So I think I just don't fit into these. My winter tights are a little loose, but don't have a pocket big enough for my phone so they work just fine still as my phone goes in a flip belt instead. I ordered another pair in a size 6 from eBay since lululemon doesn't sell them online in this color anymore. I really hope those work because I really like them. They're a gorgeous color and I like having my phone in a pocket that is secure, but easy to reach. As for the ACTUAL run, :), I walked up the first hill, but did 30 second run, 75 second walk intervals up the other 3. Mistake. I should have walked more. I started feeling twinges in my right inner thigh before I got completely cooled down. I pulled out StretchMax and did the 20 minute stretch routine before showering and getting back to work. This was an easy run on the treadmill. Just 3 miles to finish out the week. With my leg showing signs of wear and tear, I dropped the incline back to 0. I usually run with a 1% incline, but didn't want to aggravate the leg if I could help it. This run also ended a new running streak for me. I ran 10 out of the last 11 days. For a girl who never ran more than 3 times in a single week before this summer, that's saying something. An easy week! I'm only scheduled for 4 days of running. I'm ready for it! I might even skip my long run and just do shorter runs this week. The weather looks gross for my long run day.